At an upcoming tournament, a robot designed by students at Summit Learning Charter will descend from its landing capsule and collect colored blocks from around a playing field, which represents an alien planet. The robot will navigate through craters and perform several other missions while it strives to gain more points than the other creations on the field. High school students in Summit's FIRST Tech Challenge will guide their robot through these tasks during an upcoming tournament on Saturday, Jan. 26, at Hillsboro High School. "I'm really into science, technology and engineering," said Ethan Wood, a junior at Summit Learning Charter and the team's captain. "It's a passion." The school's FIRST Tech Challenge team was implemented last year so students could build upon the skills they had gained in the FIRST LEGO League team, which began at the charter school in Eagle Creek six years ago. 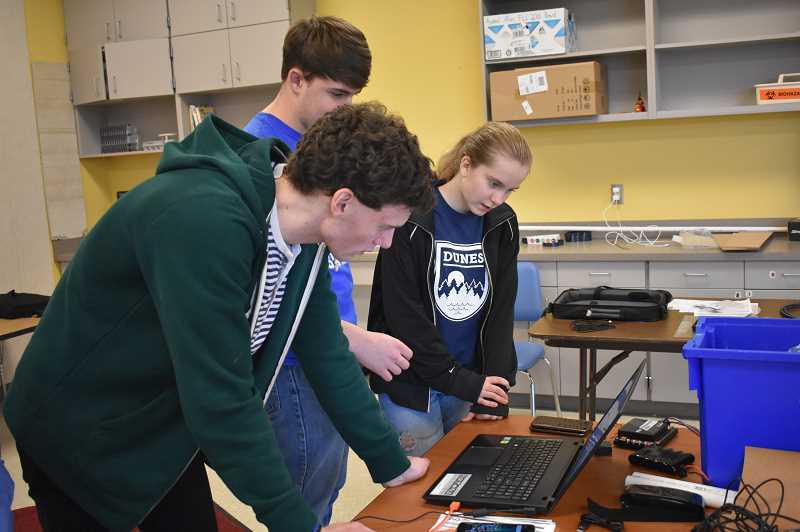 "We wanted a high-school-aged robotics team that students could matriculate into from the FIRST Lego League Team," said Jesse Putnam, faculty adviser to the FIRST Tech Challenge team. The team, which consists of students Wood, Caleb Graham, Marisa Denny, Chris Messenger, Elisha Lundblad and Robert Hererra, meets twice per week. They've worked on all aspects of the robot, including design, creating parts using 3-D printers and programming it using Java. "(Students) build the robot and make decisions about how it will work," Putnam said. "It's student-driven rather than teacher-driven." One element of the robot they had to decide on was how it would move. The group opted to use a tank tread design, which utilizes traction and gears, rather than wheels. They think this will serve them well when entering the craters on the playing field. 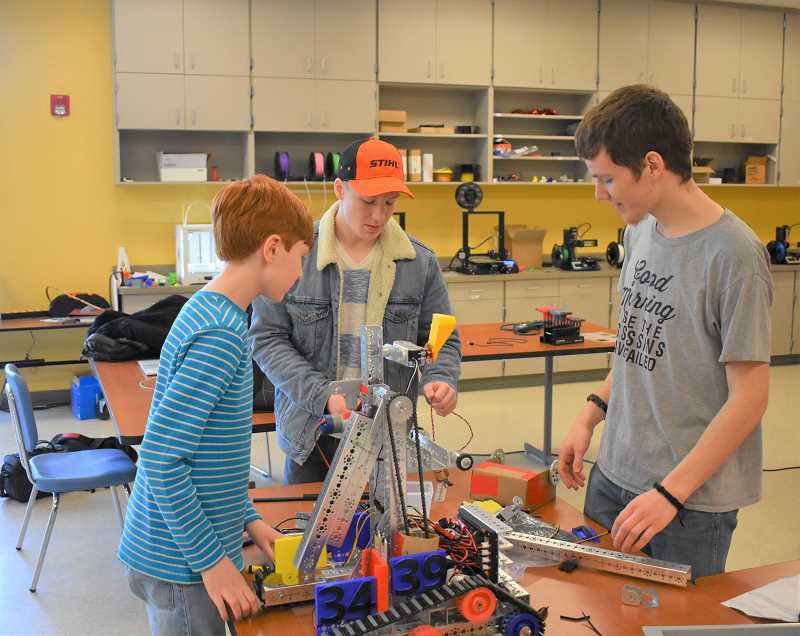 Putnam sees many benefits to the experiences students gain through the FIRST program, noting that one of the most valuable elements is "the ability to use technology in things like 3-D printers, and an awareness of the mechanical systems in an authentic environment." Wood noted that he's looking forward to the upcoming tournament and "the potential of moving forward." "We're a second year team, and we understand more now," he said.